This content has been sponsored by Gerber Lil’ Beanies. Thank you for supporting Tampa Mama! We love to travel and going on the road means we are going to need some snacks! I like to make sure our snacks are healthy and fun, but also portable and easy! Sometimes, it’s hard to make that snack fits into ALL categories! We loved learning about Gerber Lil’ Beanies! The Gerber Lil’ Beanies were a perfect addition to our road trip snacks as a healthy snack that was so good! Made from navy beans and rice flour, it was good to point out to the kids these were made with beans! 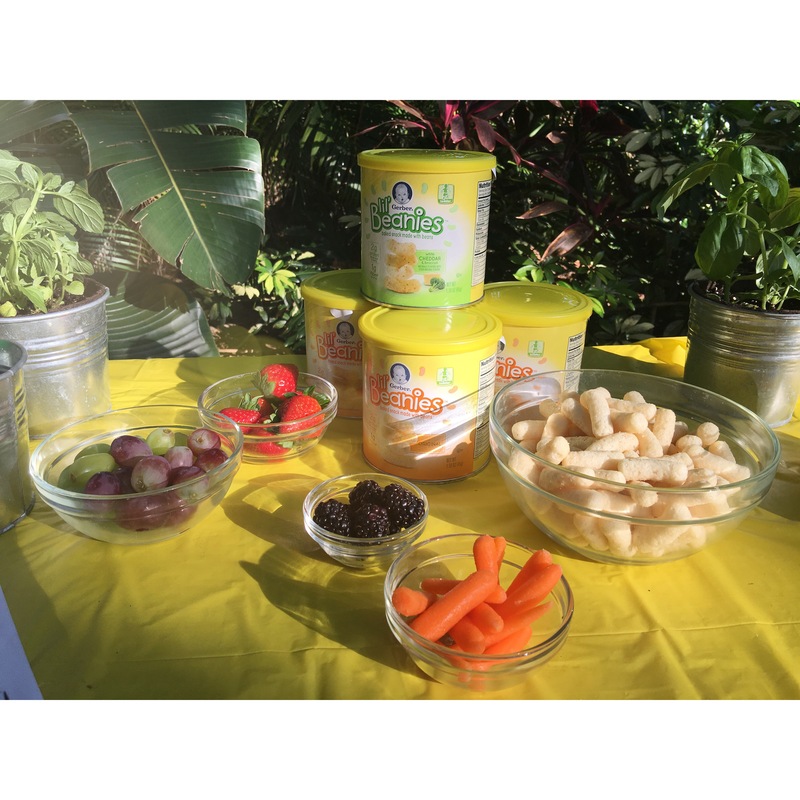 Being that these snacks are non- GMO as well as have no artificial coloring or flavors, they were a big hit with the kids and that’s always important! In addition to these, I like packing a few pouch applesauces, carrot sticks, string cheese, hummus and apple slices, we are set and ready to go on the road! Travel Tip: Use cookie baking tins to give kids an easy tray to take on the road. It’s perfect for keeping all snakes separate while in the car! And as a busy Mom of four, I love knowing that my littlest one is getting 2g of protein and 1g of fiber per serving! Every lil’ bit counts! As always, all thoughts and opinions are my own. Sponsored content is created by Marisa Langford and my opinions are never bought. i am definitely making these.. i really really feel like having them now.. i have so many things i want to try from your blog.. this i definitely am going to try this week itself.. if possible tom…love it.. they look fab…. i am hungry..the pics on FB and now these! !1 lovely sawsan lou!ly…..sllluvurrrpppp!e! !